The Hundred Years' War was a series of conflicts waged from 1337 to 1453 between the Kingdom of England and the Kingdom of France for control of the French throne. Many allies of both sides were also drawn into the conflict. The war had its roots in a dynastic disagreement dating back to the time of William the Conqueror, who became King of England in 1066 while retaining possession of the Duchy of Normandy in France. As the rulers of Normandy and other lands on the continent, the English kings owed feudal homage to the King of France. In 1337, Edward III of England refused to pay homage to Philip VI of France, leading the French King to claim confiscation of Edward's lands in Aquitaine. Edward responded by declaring that he, not Philip, was the rightful King of France, a claim dating to 1328, when Edward's uncle, Charles IV of France, died without a direct male heir. Edward was the closest male relative of the dead king, as son of Isabella of France, daughter of Philip IV of France and sister of Charles IV. But instead, the dead king's cousin, Philip VI, the son of Philip IV's younger brother, Charles, Count of Valois, was crowned King of France in accordance with Salic law, which disqualified the succession of males descended through female lines. The question of legal succession to the French crown was central to the war over generations of English and French claimants. The war is commonly divided into three phases separated by truces: the Edwardian Era War (1337–60), the Caroline War (1369–89) and the Lancastrian War (1415–53), which saw the slow decline of English fortunes after the appearance of Joan of Arc in 1429. Contemporary European conflicts directly related to this conflict were the War of the Breton Succession, the Castilian Civil War, the War of the Two Peters, and the 1383–85 Crisis. The term "Hundred Years' War" is a periodization invented later by historians to encompass all of these events. The war owes its historical significance to multiple factors. Although primarily a dynastic conflict, the war gave impetus to ideas of French and English nationalism. Militarily, it saw the introduction of weapons and tactics that supplanted the feudal armies dominated by heavy cavalry. The first standing armies in Western Europe since the time of the Western Roman Empire were introduced for the war, thus changing the role of the peasantry. For all this, as well as for its duration, it is often viewed as one of the most significant conflicts in medieval warfare. With respect to the belligerents, English political forces over time came to oppose the costly venture; while English nobles' dissatisfactions, resulting from the loss of their continental landholdings, was a factor leading to the civil wars known as the Wars of the Roses. In France, civil wars, deadly epidemics, famines and bandit free companies of mercenaries reduced the population drastically. [[File:Hommage of Edward I to Philippe le Bel.jpg|thumb|180px|Homage of Edward I of England (kneeling) to Philip IV (seated) – 1286. As Duke of Aquitaine, Edward was also a vassal to the French King.]] The Anglo-Norman dynasty that had ruled England since the Norman conquest of 1066 was brought to an end when Geoffrey of Anjou and Empress Matilda's son Henry (great-grandson of William the Conqueror) became the first of the Angevin Kings of England in 1154 as King Henry II. The King of England, in what is now known as the Angevin Empire, directly ruled more territory on the continent than the King of France. A complication was that as dukes on the continent, English kings owed homage to the King of France. However the dukes had autonomy from the 11th century onward, neutralizing the issue. John of England inherited the Angevin domains from King Richard I. However, Philip II of France acted decisively to exploit the weaknesses of King John, both legally and militarily and by 1204 had succeeded in taking control of most of the Angevin continental possessions. Following John's reign, the Battle of Bouvines (1214), along with the Saintonge War (1242) and finally the War of Saint-Sardos (1324), reduced England's holdings on the continent to a few provinces in Gascony and the complete loss of Normandy. The principle that the Kingdom of France did not descend by female line was founded on custom only. The question of female succession was raised after the death of Louis X in 1316, Philip V in 1322 and Charles IV in 1328. However in each case only male heirs were considered. When France's Charles IV died in 1328 leaving only daughters, the nearest male relative was Edward III of England. Edward had inherited his right through his mother Isabella, the sister of the dead French king; but the question arose whether she should be able to transmit a right that she did not herself possess because of her gender. The French nobility, moreover, balked at the prospect of being ruled by the English king. The assemblies of the French barons and prelates and the University of Paris decided that males who derive their right to inheritance through their mother should be excluded. Thus the nearest heir through male ancestry was Charles IV's first cousin, Philip, Count of Valois, and it was decided that he should be crowned Philip VI. In 1340 the Avignon papacy confirmed that under Salic law males should not be able to inherit through their mothers. Hundred Years' War evolution. French territory: yellow; English: grey; Burgundian: dark grey. In the 11th century, Gascony in southwest France had been incorporated into Aquitaine (known also as, Guyenne or Guienne) and formed with it the province of Guyenne and Gascony (French: Guyenne-et-Gascogne). The Angevin Kings of England became Dukes of Aquitaine after Henry II married the former Queen of France, Eleanor of Aquitaine, in 1152, from which point the lands were held in vassalage to the French crown. By the 13th century the terms Aquitaine, Guyenne and Gascony were virtually synonymous. At the beginning of Edward III's reign on 1 February 1327, the only part of Aquitaine that remained in his hands was the Duchy of Gascony. The term Gascony came to be used for the territory held by the Angevin Kings of England in southwest France, although they still used the title Duke of Aquitaine. For the first 10 years of Edward III's reign, Gascony had been a major point of friction. The English argued that, as Charles IV had not acted in a proper way towards his tenant, Edward should be able to hold the duchy free of any French suzerainty. However, this line of argument could not be maintained by the English, so in 1329 the 17-year old Edward III paid homage to Philip VI. Tradition demanded that vassals should approach their liege unarmed with heads uncovered, however Edward demonstrated his reluctance by attending the ceremony by wearing his crown and sword. Despite Edward complying, albeit reluctantly, the French continued to pressure the English administration. Gascony was not the only sore point. One of Edward's influential advisers was Robert III of Artois. Robert was an exile from the French court, having fallen out with Philip VI over an inheritance claim. He urged Edward to start a war to reclaim France and was able to provide extensive intelligence on the French court. The Kings of England had been trying to subjugate the Scots for some time. 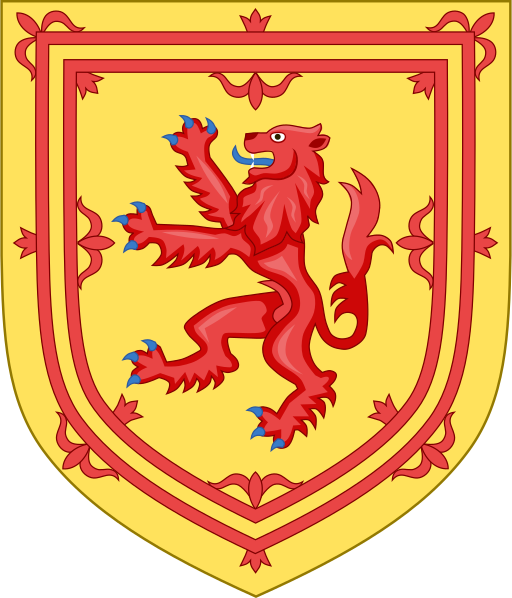 In 1295 a treaty was signed between France and Scotland, during the reign of Philip the Fair. Charles IV formally renewed the treaty in 1326, promising Scotland that if England invaded then France would support the Scots. Similarly, the Scots would support the French. Edward could not succeed in his plans for Scotland if they could count on French support. Philip VI had assembled a large naval fleet off Marseilles as part of an ambitious plan for a crusade to the Holy Land. However the plan was abandoned and the fleet, including elements of the Scottish Navy, moved to the English Channel off Normandy in 1336, threatening England. To deal with this crisis, Edward proposed that the English raise two armies, one to deal with the Scots "at a suitable time", the other to proceed at once to Gascony. At the same time ambassadors were to be sent to France with a proposed treaty for the French king. At the end of April 1337, Philip of France was invited to meet the delegation from England but refused. The arrière-ban, literally a call to arms, was proclaimed throughout France starting on 30 April 1337. Then, in May 1337, Philip met with his Great Council in Paris. It was agreed that the Duchy of Aquitaine, effectively Gascony, should be taken back into the king's hands on the grounds that Edward III was in breach of his obligations as vassal; and also that he had sheltered the king's 'mortal enemy' Robert d'Artois and other unspecified reasons. Edward responded to the confiscation of Aquitaine by challenging Philip's right to the French throne. When Charles IV died, Edward had made a claim for the succession of the French throne, through the right of his mother Isabella (Charles IV's sister), daughter of Philip IV. Any claim was considered invalidated by Edward's homage to Philip VI in 1329. Edward revived his claim and in 1340 formally assumed the title 'King of France and the French Royal Arms'. On 26 January 1340, Edward III formally received homage from Guy, half-brother of the Count of Flanders. The civic authorities of Ghent, Ypres and Bruges proclaimed Edward King of France. Edward's purpose was to strengthen his alliances with the Low Countries. His supporters would be able to claim that they were loyal to the "true" King of France and were not rebels against Philip. In February 1340, Edward returned to England to try and raise more funds and also deal with political difficulties. Relations with Flanders were also tied to the English wool trade; Edward III had commanded that his chancellor sit on the woolsack in council as a symbol of the pre-eminence of the wool trade. At the time there were about 110,000 sheep in Sussex alone. The great medieval English monasteries produced large surpluses of wool that were sold to Europe. Successive governments were able to make large amounts of money by taxing it. France's sea power led to economic disruptions, with England shrinking the wool trade to Flanders and the wine trade from Gascony. Edward, with his fleet, sailed from England on 22 June 1340, and arrived the next day off the Zwyn estuary. The French fleet assumed a defensive formation off the port of Sluys. The English fleet apparently tricked the French into believing they were withdrawing. However, when the wind turned in the late afternoon, the English attacked with the wind and sun behind them. The French fleet was almost completely destroyed in what became known as the Battle of Sluys. England dominated the English Channel for the rest of the war, preventing French invasions. At this point, Edward's funds ran out and the war probably would have ended were it not for the death of the Duke of Brittany precipitating a succession dispute between the duke's half brother John of Montfort and Charles of Blois, nephew of Philip VI. In 1341, conflict over the succession to the Duchy of Brittany began the Breton War of Succession, in which Edward backed John of Montfort and Philip backed Charles of Blois. Action for the next few years focused around a back and forth struggle in Brittany. The city of Vannes changed hands several times, while further campaigns in Gascony met with mixed success for both sides. In July 1346, Edward mounted a major invasion across the channel, landing in Normandy's Cotentin. The English army captured Caen in just one day, surprising the French. Philip gathered a large army to oppose Edward, who chose to march northward toward the Low Countries, pillaging as he went, rather than attempting to take and hold territory. Finding himself unable to outmanoeuvre Philip, Edward positioned his forces for battle and Philip's army attacked. The Battle of Crécy was a complete disaster for the French, largely credited to the English longbowmen and the French king, who allowed his army to attack before it was ready. Philip appealed to his Scottish allies to help with a diversionary attack on England. King David II of Scotland responded by invading northern England, but his army was defeated and he was captured at the Battle of Neville's Cross, on 17 October 1346. This greatly reduced the threat from Scotland. In France, Edward proceeded north unopposed and besieged the city of Calais on the English Channel, capturing it in 1347. This became an important strategic asset for the English, allowing them to safely keep troops in northern France. Calais would remain under English control, even after the end of the Hundred Years' War, until the successful French siege in 1558. In 1348, the Black Death began to ravage Europe. In 1356, after the plague had passed and England was able to recover financially, Edward's son and namesake, the Prince of Wales, known as the Black Prince, invaded France from Gascony, winning a great victory in the Battle of Poitiers. During the battle, the Gascon noble Jean de Grailly, captal de Buch led a mounted unit that was concealed in a forest. The French advance was contained, at which point de Grailly led a flanking movement with his horsemen cutting off the French retreat and succeeding in capturing King John II of France (known as John the Good) and many of his nobles. With John held hostage, his son the Dauphin (later to become Charles V of France) took over as regent. In November 1357, Charles of Navarre challenged the Dauphin's leadership, entering Paris with a group of noble supporters. The Dauphin had discharged the regency, deciding to rule alone. 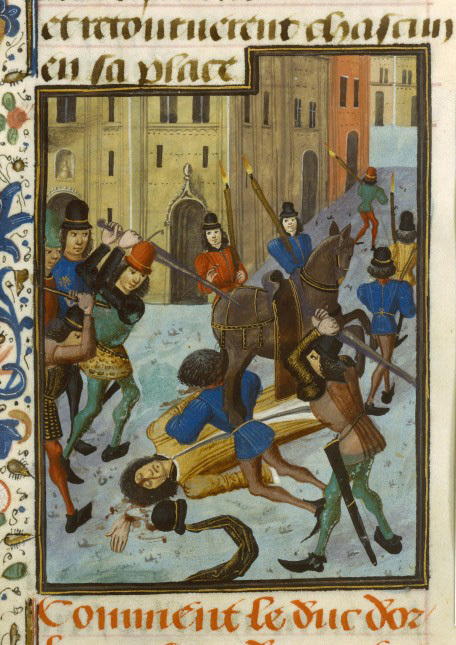 Both men appealed to Parisians for support, and when in January, 1358, Charles' personal marshals were murdered in his chambers, he retaliated with an act that in turn caused a countrywide peasant uprising known as the Jacquerie. Edward invaded France, for the third and last time, hoping to capitalise on the discontent and seize the throne. The Dauphin's strategy was that of non-engagement with the English army in the field. However Edward wanted the crown and chose the cathedral city of Reims for his coronation (Reims was the traditional coronation city). However, the citizens of Reims built and reinforced the city's defences before Edward and his army arrived. Edward besieged the city for five weeks, but the defences held and there was no coronation. Edward moved on to Paris, but retreated after a few skirmishes in the suburbs. The French made contact with him and forced him to negotiate. A conference was held at Brétigny that resulted in the Treaty of Brétigny (8 May 1360). The treaty was ratified at Calais in October. In return for increased lands in Aquitaine, Edward renounced Normandy, Touraine, Anjou and Maine and consented to reducing King John's ransom by a million crowns. Edward also abandoned his claim to the crown of France. The French crown had been at odds with Navarre (near southern Gascony) since 1354 and in 1363 the Navarrese used John II's captivity in London and the political weakness of the Dauphin to try to seize power. Although there was no formal treaty, Edward III supported the Navarrese moves particularly as there was a prospect that he might gain control over the northern and western provinces as a consequence. With this in mind Edward deliberately slowed the peace negotiations. In 1364, John II died in London, while still in honourable captivity. Charles V succeeded him as king of France. On 6 May 1364, one month after the dauphin's accession and three days before his coronation as Charles V, the Navarrese suffered a crushing defeat at the Battle of Cocherel. In 1366 there was a civil war of succession in Castile (part of modern Spain). The ruler Peter of Castile's forces were pitched against those of his half-brother Henry of Trastámara. The English crown supported Peter and the French, Henry. French forces were led by Bertrand du Guesclin, a Breton, who rose from relatively humble beginnings to prominence as one of France's war leaders. Charles V provided a force of 12,000, with du Guesclin at their head, to support Trastámara in his invasion of Castile. Peter appealed to England and Aquitaine's Black Prince for help, but none was forthcoming, forcing Peter into exile in Aquitaine. The Black Prince had previously agreed to support Peter's claims but concerns over the terms of the treaty of Brétigny led him to assist Peter as a representative of Aquitaine, rather than England. He then led an Anglo-Gascon army into Castille. Peter was restored to power after Trastámara's army was defeated at the Battle of Najera. With the Black Prince gone from Castile, Henry de Trastámara led a second invasion that ended with Peter's death at the Battle of Montiel in March, 1369. The new Castilian regime provided naval support to French campaigns against Aquitaine and England. With his health continuing to deteriorate, the Black Prince returned to England in January 1371, where by now his father Edward III was elderly and also in poor health. The prince's illness was debilitating. He died on 8 June 1376. Edward III only just outlived his son and died the following year on 21 June 1377; he was succeeded by the Black Prince's second son Richard II who was still a child. The treaty at Brétigny left Edward III and England with enlarged holdings in France, however a small professional French army under the leadership of du Guesclin pushed the English back and, by the time of Charles V's death in 1380, the English only held Calais. Richard faced many challenges during his reign, including the Peasants' Revolt led by Wat Tyler in 1381, an Anglo-Scottish war in 1384–1385, and a group of noblemen known as the Lords Appellant who took over government between 1387 and 1389. His attempts to raise taxes to pay for his Scottish adventure and for the protection of Calais against the French made him increasingly unpopular. In 1399, after John of Gaunt died, Richard II disinherited Gaunt's son, Henry of Bolingbroke, who had previously been exiled. Bolingbroke returned to England in June 1399 and with his supporters deposed Richard; Henry had himself crowned Henry IV. One cause of Richard's unpopularity had been his reluctance to continue the war in France. Henry was aware of this and planned to resume hostilities. However this did not happen, as he was plagued with financial problems, declining health and kept busy putting down rebellions. In Scotland, the English regime change prompted border raids that were countered by an invasion in 1402 and the defeat of a Scottish army at the Battle of Homildon Hill. A dispute over the spoils between Henry and Henry Percy, 1st Earl of Northumberland resulted in a long and bloody struggle between the two for control of northern England, resolved only with the almost complete destruction of the Percy family by 1408. In Wales, Owain Glyndŵr was declared Prince of Wales on 16 September 1400. He was the leader of the most serious and widespread rebellion against English authority in Wales since the conquest of 1282–3. The rebellion was finally put down only in 1415 and resulted in Welsh semi-independence for a number of years. In the meantime Charles VI of France was descending into madness and an open conflict for power began between his cousin John the Fearless and his brother, Louis of Orléans. After Louis's assassination, the Armagnac family took political power in opposition to John. By 1410, both sides were bidding for the help of English forces in a civil war. Henry IV of England died in 1413 and was replaced by his eldest son Henry V. Charles VI of France's mental illness allowed his power to be exercised by royal princes whose rivalries caused deep divisions in France. Henry V was well aware of these divisions and hoped to exploit them. In 1414 while he held court at Leicester, he received ambassadors from Burgundy. Henry accredited envoys to the French king to make clear his territorial claims in France; he also demanded the hand of Charles VI's youngest daughter Catherine of Valois. The French rejected his demands, leading Henry to prepare for war. In August 1415 Henry V sailed from England with a force of about 10,500 and laid siege to Harfleur. The city resisted for longer than expected, but finally surrendered on 22 September. Because of the unexpected delay, most of the campaign season was gone. Rather than march on Paris directly, he elected to make a raiding expedition across France toward English-occupied Calais. In a campaign reminiscent of Crécy, he found himself outmanoeuvred and low on supplies and had to fight a much larger French army at the Battle of Agincourt, north of the Somme. Despite the problems and having a smaller force, his victory was near-total; the French defeat was catastrophic, costing many of the Armagnac leaders. About 40% of the French nobility was killed. Henry was apparently concerned that the large number of prisoners taken were a security risk (there were more French prisoners than the entire English army) and he ordered their deaths. Henry retook much of Normandy, including Caen in 1417 and Rouen on 19 January 1419, turning Normandy English for the first time in two centuries. A formal alliance was made with the Duchy of Burgundy, who had taken Paris after the assassination of Duke John the Fearless in 1419. In 1420, Henry met with king Charles VI. They signed the Treaty of Troyes, by which Henry finally married Charles' daughter Catherine of Valois and Henry's heirs would inherit the throne of France. The Dauphin, Charles VII, was declared illegitimate. Henry formally entered Paris later that year and the agreement was ratified by the Estates-General. On 22 March 1421 Henry V's progress, in his French campaign, experienced an unexpected reverse. Henry had left his brother and presumptive heir Thomas, Duke of Clarence in charge while he returned to England. Clarence engaged a Franco-Scottish force of 5000 men, led by John Stewart, Earl of Buchan at the Battle of Baugé. Clarence against the advice of his lieutenants, before his army had been fully assembled, attacked with a force of no more than 1500 men-at-arms. He then, during the course of the battle, led a charge of a few hundred men into the main body of the Franco-Scottish army who quickly enveloped the English. In the ensuing melée, the Scot, John Carmichael of Douglasdale broke his lance unhorsing the Duke of Clarence. Once on the ground, the duke was slain by Alexander Buchanan. The body of the Duke of Clarence was recovered from the field by Thomas Montacute, 4th Earl of Salisbury, who conducted the English retreat. Henry V returned to France and went to Paris, then visiting Chartres and Gâtinais before returning to Paris. From there he decided to attack the Dauphin-held town of Meaux. It turned out to be more difficult to overcome than first thought. The siege began about 6 October 1421, and the town held for seven months before finally falling on 11 May 1422. At the end of May, Henry was joined by his queen and together with the French court, they went to rest at Senlis. While there it became apparent that he was ill (possibly dysentery) and when he set out to the Upper Loire he diverted to the royal castle at Vincennes, near Paris, where he died on 31 August 1422. The elderly and insane Charles VI of France died two months later, on 21 October 1422. Henry left an only child, his nine-month-old son, Henry, later to become Henry VI. On his deathbed, Henry V had given the Duke of Bedford responsibility for English France (as Henry VI was only an infant). The war in France continued under Bedford's generalship and several battles were won. The English won an emphatic victory at the Battle of Verneuil, (17 August 1424). At the Battle of Baugé, Clarence had rushed into battle without the support of his archers. At Verneuil the archers fought to devastating effect against the Franco-Scottish army. The effect of the battle was to virtually destroy the Dauphin's field army and to eliminate the Scots as a significant military force for the rest of the war. Joan of Arc's appearance sparked a revival of French spirits and the tide began to turn against the English. In 1428, the English laid siege to Orléans. Their force was insufficient to fully invest the city. In 1429 Joan convinced the Dauphin to send her to the siege, saying she had received visions from God telling her to drive out the English. She raised the morale of the troops and they attacked the English redoubts, forcing the English to lift the siege. Inspired by Joan, the French took several English strongholds on the Loire. Shortly afterwards, a French army broke through the English archers at Patay, crushing an army commanded by John Fastolf and taking John Talbot, 1st Earl of Shrewsbury prisoner. This victory opened the way for the Dauphin to march to Reims for his coronation as Charles VII (16 July 1429). Joan changed the way that the French forces engaged with the English in battle. Her tactics were not to engage prepared English lines, with a full frontal assault, as had been the traditional way. The first Western image of a battle with cannon: the Siege of Orleans in 1429. Joan was captured by the Burgundians in 1430. Charles refused to pay her ransom so she was sold to the English. Accusing her of being a witch, they tried her for heresy. Joan was found guilty and burned at the stake on 30 May 1431. After Joan of Arc's death the fortunes of war turned dramatically against the English. Most of Henry's royal advisers were against making peace. Among the factions, the Duke of Bedford wanted to defend Normandy, the Duke of Gloucester was committed to just Calais whereas Cardinal Beaufort was inclined to peace. Negotiations stalled. It seems that at the congress of Arras, in the summer of 1435, where the duke of Beaufort was mediator, the English were unrealistic in their demands. A few days after the congress ended in September, Philip III, duke of Burgundy deserted to Charles VII, signing the Treaty of Arras that returned Paris to the King of France. This was a major blow to English sovereignty in France. The Duke died 14 September 1435 and was replaced by a lesser man. Burgundy's allegiance remained fickle, but the English focus on expanding their domains into the Low Countries left them little energy to intervene in France. The long truces that marked the war gave Charles time to reorganise his army and government, replacing his feudal levies with a more modern professional army that could put its superior numbers to good use and centralising the French state. A castle that once could only be captured after a prolonged siege fell after a few days from cannon bombardment. The French artillery developed a reputation as the best in the world. By 1449, the French had retaken Rouen and in 1450 the Count of Clermont and Arthur de Richemont, Earl of Richmond, of the Montfort family (the future Arthur III, Duke of Brittany) caught an English army attempting to relieve Caen at the Battle of Formigny and defeated it. The English army had been attacked from the flank and rear by Richemont's force just as they were on the verge of beating Clermont's army. After Charles VII's successful Normandy campaign in 1450, he concentrated his efforts on Gascony, the last province held by the English. Bordeaux, Gascony's capital, was besieged and surrendered to the French on 30 June 1451. Largely due to the English sympathies of the Gascon people this was reversed when John Talbot and his army retook the city on 23 October 1452. However, the English were defeated at the Battle of Castillon 17 July 1453. Talbot had been persuaded to engage the French army at Castillon near Bordeaux. During the battle the French appeared to retreat towards their camp. The French camp at Castillon had been laid out by Charles VII's ordnance officer Jean Bureau and this was instrumental in the French success as when the French cannon opened fire, from their positions in the camp, the English took severe casualties losing both Talbot and his son. Although the Battle of Castillon is considered the last battle of the Hundred Years' War, England and France remained formally at war for another 20 years, but the English were in no position to carry on the war as they faced unrest at home. Following defeat in the Hundred Years' War, English landowners complained vociferously about the financial losses resulting from the loss of their continental holdings; this is often considered a major cause of the War of the Roses, that started in 1455. The Hundred Years' War almost resumed in 1474, when the duke Charles of Burgundy, counting on English support, took up arms against Louis XI of France. Louis managed to isolate the Burgundians by buying Edward IV of England off with a large cash sum and an annual pension, in an agreement signed at the Treaty of Picquigny (1475). The treaty formally ended the Hundred Years' War with Edward renouncing his claim to the throne of France. However, future Kings of England continued to keep the lilies of France (Fleur-de-lis) on their coat of arms and even bore the title, until 1803, when they were dropped in deference to the exiled Count of Provence, titular King Louis XVIII of France, who was living in England after the French Revolution. Charles the last duke of Burgundy met his end at the Battle of Nancy in 1477, where he was hauled from his horse and beaten to death. He left a daughter, Marie, who was stripped of the duchy by Louis XI. The Hundred Years' War was a time of rapid military evolution. Weapons, tactics, army structure and the social meaning of war all changed, partly in response to the war's costs, partly through advancement in technology and partly through lessons that warfare taught. Before the Hundred Years' War, heavy cavalry was considered the most powerful unit in an army, but by the war's end, this belief had shifted. The heavy horse was increasingly negated by the use of the longbow (and, later, another long-distance weapon: firearms). Edward III was famous for dismounting his men-at-arms and have them and his archers stand in closely integrated battle lines; the horses only being used for transport or pursuit. The English began using lightly armoured mounted troops, known as hobelars. Hobelars tactics had been developed against the Scots, in the Anglo-Scottish wars of the 14th century. Hobelars rode smaller unarmoured horses, enabling them to move through difficult or boggy terrain where heavier cavalry would struggle. Rather than fight while seated on the horse, they would also dismount to engage the enemy. By the end of the Hundred Years' War, these various factors caused the decline of the expensively outfitted, highly trained heavy cavalry and the eventual end of the armoured knight as a military force and of the nobility as a political one. The war stimulated nationalistic sentiment. It devastated France as a land, but it also awakened French nationalism. The Hundred Years' War accelerated the process of transforming France from a feudal monarchy to a centralized state. The conflict became one of not just English and French kings but one between the English and French peoples. There were constant rumours in England that the French meant to invade and destroy the English language. National feeling that emerged from such rumours unified both France and England further. The Hundred Years' War basically confirmed the fall of the French language in England, which had served as the language of the ruling classes and commerce there from the time of the Norman conquest until 1362. The spread of the Black Death (with modern borders). Lowe (1997) argued that opposition to the war helped to shape England's early modern political culture. Although anti-war and pro-peace spokesmen generally failed to influence outcomes at the time, they had a long-term impact. England showed decreasing enthusiasm for conflict deemed not in the national interest, yielding only losses in return for high economic burdens. In comparing this English cost-benefit analysis with French attitudes, given that both countries suffered from weak leaders and undisciplined soldiers, Lowe noted that the French understood that warfare was necessary to expel the foreigners occupying their homeland. Furthermore French kings found alternative ways to finance the war – sales taxes, debasing the coinage – and were less dependent than the English on tax levies passed by national legislatures. English anti-war critics thus had more to work with than the French. Bubonic Plague and warfare depleted the overall population of Europe in the 14th and 15th centuries. France, for example, began with a population of about 17 million, but by the end of the Hundred Years' War it had declined by about one-half. Some regions were affected much more than others. Normandy lost three-quarters of its population. In the Paris region, between 1328 and 1470 the population was reduced by at least two-thirds, while the Black Death killed between a fifth and a third of the English population. Second Hundred Years' War- this is the name given by some historians to the near-continuous series of conflicts between Britain and France from 1688–1815, beginning with the Glorious Revolution and ending with the Battle of Waterloo. ↑ Backman 2003, pp. 179–180 – Nobles captured in battle were held in "Honorable Captivity", which recognised their status as prisoners of war and permitted ransom. ↑ Barber, Richard (2008). "Edward , prince of Wales and of Aquitaine (1330–1376) in Oxford Dictionary of National Biography, Oxford University Press, 2004; online edn. Subscription Required". http://www.oxforddnb.com/view/article/8523. Retrieved 3 October 2012. ↑ Omrod, W. M (2008). "Edward III (1312–1377) in Oxford Dictionary of National Biography, Oxford University Press, 2004; online edn. Subscription Required". http://www.oxforddnb.com/view/article/8519. Retrieved 3 October 2012. ↑ 45.0 45.1 45.2 45.3 45.4 Tuck, Richard (2008). "Richard II (1367–1400 in Oxford Dictionary of National Biography, Oxford University Press, 2004; online edn. Subscription Required". http://www.oxforddnb.com/view/article/23499. Retrieved 3 October 2012. ↑ Bean, J.M.W (2008). "Percy, Henry, first earl of Northumberland (1341–1408) in Oxford Dictionary of National Biography, Oxford University Press, 2004; online edn. Subscription Required". http://www.oxforddnb.com/index/21/101021932. Retrieved 8 October 2012. ↑ Smith, Llinos (2008). "Glyn Dŵr , Owain (c.1359–c.1416) in Oxford Dictionary of National Biography, Oxford University Press, 2004; online edn. Subscription Required". http://www.oxforddnb.com/index/10/101010816. Retrieved 8 October 2012. ↑ 55.0 55.1 55.2 55.3 55.4 55.5 55.6 Allmand, C.T (2008). "Henry V (1386–1422) in Oxford Dictionary of National Biography, Oxford University Press, 2004; online edn. Subscription Required". http://www.oxforddnb.com/index/12/101012952. Retrieved 8 October 2012. ↑ G. L. Harriss, ‘Thomas , duke of Clarence (1387–1421)’, Oxford Dictionary of National Biography, Oxford University Press, 2004; online edn, Sept 2010 accessed 14 May 2013 Subscription required. ↑ Webster 1998, pp. 39–40: "Every version of the complaints put forward by the rebels in 1450 harps on the losses in France." Backman, Clifford R (2003). The Worlds of Medieval Europe. New York: Oxford University Press. ISBN 0-1953-3527-9. Bartlett, Robert (2000). J.M.Roberts. ed. England Under the Norman and Angevin Kings 1075 -1225. London: OUP. ISBN 978-0-19-925101-8. Brissaud, Jean (1915). Garner, James W. Tr. ed. History of French Public Law. The Continental Legal History series. Vol 9.. Boston: Little, Brown and Company. Curry, Anne (2002). The Hundred Years War 1337–1453. Oxford: Osprey Publishing. ISBN 1-84176-269-5. Darby, H. C. (1976 New edition). The British islands and their vegetation. Cambridge, England: Cambridge University Press. ISBN 0-521-29144-5. Davis, Paul K (2003). Besieged: 100 Great Sieges from Jericho to Sarajevo 2nd. Ed. Santa Barbara CA: Oxford University Press. ISBN 0-19-521930-9. "Encyclopædia Britannica Online". Encyclopædia Britannica. http://www.britannica.com. Retrieved 21 September 2012. Friar, Stephen (2004). The Sutton Companion to Local History. Sparkford, England: Sutton. ISBN 0-7509-2723-2. Froissart, Jean (1895). Macaulay; George Campbell. ed. The Chronicles of Froissart. John Bourchier Translator; Lord Berners Translator. London: Macmillan and Son. http://archive.org/stream/chroniclesfrois00macagoog#page/n176/mode/2up. Retrieved 24 September 2012. Gormley, Larry (2007). "eHistory:The Hundred Years War: Overview". Ohio State University. http://ehistory.osu.edu/osu/archive/hundredyearswar.cfm?CFID=12106913&CFTOKEN=48989585&jsessionid=463076a37003e50bfe0063343a5d3c64687b. Retrieved 20 September 2012. Griffiths, R.A. "Henry VI (1421–1471) in Oxford Dictionary of National Biography, 2004; online edn, Sept 2010; Subscription required". Oxford University Press. http://www.oxforddnb.com/index/12/101012953/. Retrieved 9 October 2012. Grummitt, David (2008). The Calais Garrison: War and Military Service in England, 1436–1558. Woodbridge: The Boydell Press. ISBN 978-1-84383-398-7. Guignebert, Charles (1930). A Short History of the French People. Vol 1.. F. G. Richmond Translator. New York: Macmilan Company. http://www.questia.com/read/98573239. Harris, Robin (1994). Studies in History 71: Valois Guyenne. Woodbridge, Surrey: Boydell Press. ISBN 0-86193-226-9. Hattendorf, John B; Unger, Richard W, eds (2003). "War at Sea in the Middle Ages and the Renaissance". War at Sea in the Middle Ages and the Renaissance. Woodbridge: The Boydell Press. ISBN 0-85115-903-6. Holmes, Jr, Urban T; Schutz, Alexander H (1948). A History of the French Language, Revised ed. Columbus, OH: Harold L. Hedrick. http://www.questia.com/read/82238646. Jones, Robert (2008). "Re-thinking the origins of the Irish Hobelar". Cardiff: Cardiff School of History and Archaeology. http://www.cardiff.ac.uk/share/resources/CHP%202008.1%20Jones.pdf. Retrieved 8 April 2013. Lee, Cristopher (1998). This Sceptred Isle:55BC-1901. London: Penguin Books. ISBN 0-140-26133-8. Ladurie, Emmanuel Le Roy (1987). The French peasantry, 1450–1660. Alan Sheridan Translator. Berkeley and LA: University of California Press. ISBN 0-520-05523-3. http://books.google.com/books?id=VT9rIMQFt2MC&pg=PA32&dq&hl=en#v=onepage&q=&f=false. Lowe, Ben (1997). Imagining Peace: History of Early English Pacifist Ideas. University Park PA: Pennsylvania State University Press. ISBN 0271016892. Mortimer, Ian (2008). The Fears of Henry IV: the Life of England's Self-Made King. London: Jonathan Cape. ISBN 978-1-844-13529-5. Neillands, Robin (1990). The Hundred Years War, Revised ed.. London: Routledge. ISBN 0-415-26131-7. Nicolle, David (2012). The Fall of English France 1449–53. Colchester, Essex: Osprey Publishing. ISBN 978-1-84908-616-5. Ormrod, W Mark (2001). Edward III. London: Yale University Press. ISBN 978-0-30-011910-7. Le Patourel, John (1984). Jones, Michael. ed. Feudal Empires:Norman and Plantagenet. London: Hambledon Continuum. ISBN 0-907628-22-2. http://books.google.co.uk/books?id=aGlLTOOeBG0C&printsec=frontcover&dq=treaty+of+br%C3%A9tigny&source=bl&ots=gT0ExAQS42&sig=EnglcrqXyhO7etEuonGwmC8D9gQ&hl=en&sa=X&ei=HyNiUP6vOqWr0QWfvYCQAw&ved=0CFcQ6AEwCA#v=onepage&q=paris&f=false. Retrieved 26 September 2012. Powicke, Michael (1962). Military Obligation in Medieval England. Oxford: OUP. ISBN 0-198-20695-X. Preston, Richard; Wise, Sydney F.; Werner, Herman O. (1991). Men in arms: a history of warfare and its interrelationships with Western society. 5th Edition. Beverley MA: Wadsworth Publishing Co Inc. ISBN 0-03-033428-4. Prestwich, Michael (1988). English Monarchs: Edward I. Berkeley and LA: University of California. ISBN 0-520-06266-3. Prestwich, Michael (2003). The Three Edwards: War and State in England 1272–1377. London: Routledge. ISBN 0-203-60713-9. Prestwich, Michael (2005). J.M.Roberts. ed. Plantagenet England. Oxford: OUP. ISBN 978-0-19-922687-0. Previte-Orton, C.W (1978). "The shorter Cambridge Medieval History 2". The shorter Cambridge Medieval History 2. Cambridge: Cambridge University Press. ISBN 0-521-20963-3. Rogers, Clifford J, ed (2010). "The Oxford Encyclopedia of Medieval Warfare and Military Technology. Vol. 1". The Oxford Encyclopedia of Medieval Warfare and Military Technology. Vol. 1. Oxford: Oxford University Press. ISBN 978-0-19-533403-6. Sumption, Jonathan (1991). The Hundred Years War I: Trial by Battle. Philadelphia: University of Pennsylvania Press. ISBN 0-8122-1655-5. Tuchman, Barbara (1978). A Distant Mirror: The Calamitous 14th Century. New York: Ballantine. ISBN 978-0-345-34957-6. Turchin, Peter (2003). Historical dynamics: why states rise and fall. Princeton: Princeton University. ISBN 0-691-11669-5. Vauchéz, Andre, ed (2000). "Encyclopedia of the Middle ages. Volume 1". Encyclopedia of the Middle ages. Volume 1. Cambridge: James Clark. ISBN 1-57958-282-6.
de Venette, Jean (1953). Newall, Richard A. ed. The Chronicle of Jean de Venette. Translated by Jean Birdsall. New York: Columbia University Press. Wagner, John A (2006). "Encyclopedia of the Hundred Years War". Encyclopedia of the Hundred Years War. Westport CT: Greenwood Press. ISBN 0-313-32736-X. Webster, Bruce (1998). The Wars of the Roses. London: UCL Press. ISBN 1-85728-493-3. Wilson, Derek (2011). The Plantagenets. The Kings that made Britain. London: Quercus. ISBN 978-0-85738-004-3.